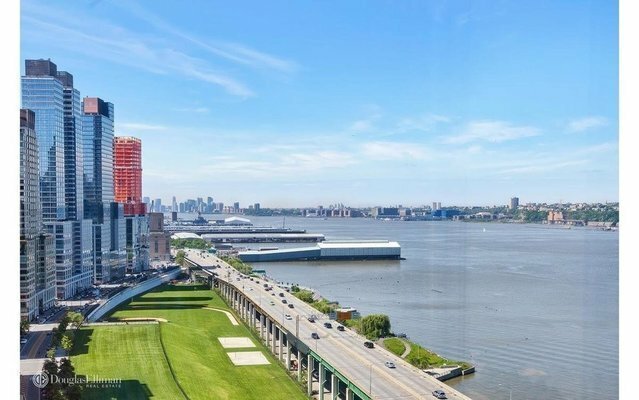 New Price -- Beautifully updated 3BED/3BATH home occupies the coveted southwest & southeast corners, offering SWEEPING VIEWS OF THE HUDSON RIVER & CITY! Mesmerizing sunsets and night views of NY City. Gracious entry foyer, separate living and dining areas, open remodeled kitchen with window, generous sized bedrooms, ample closets and in-house W/D. 200 Riverside Blvd. features luxury amenities, including: 24-hour concierge, doorman, resident manager, bike room, garage, private fitness center with indoor lap pool, sauna and children's playroom. Pet-friendly building with easy access to the best Upper West Side features: Riverside Park and the Hudson River Promenade and Pier with Café, Lincoln Center, revered restaurants along Broadway and Natural History Museum. Nearby 1/2/3 trains for easy transportation. SHOWN BY APPOINTMENT ONLY.